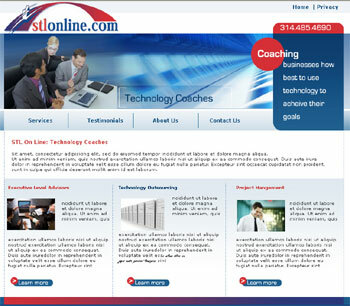 One of our newest clients is STL Online, a St Louis based technology coach. We are currently working with them in the development of a web site which reflects thier business and offers information on their services. The site is due for launch in a few weeks time.